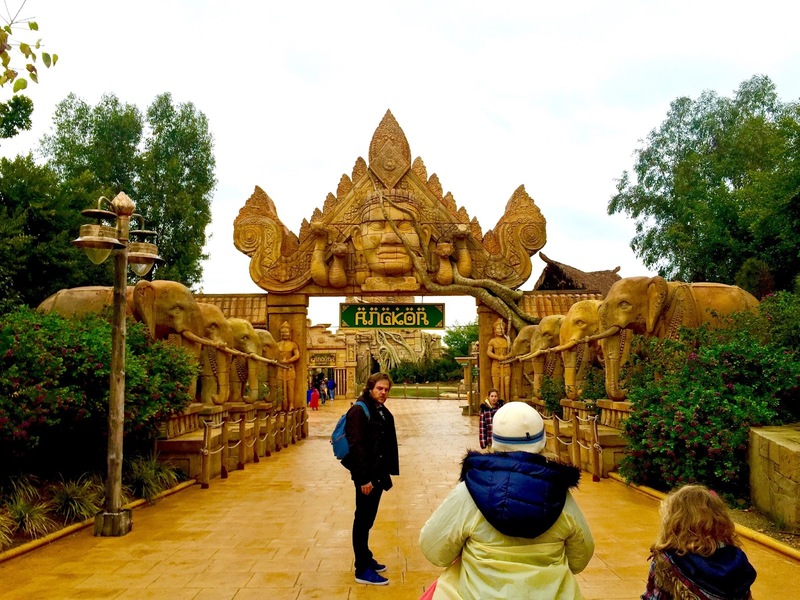 Located one hour away by train from Barcelona is one of the most visited theme parks in Europe, PortAventura. The theme park, which attracted around 3.6 million guests in 2015, boasts a solid line of roller coasters, including 2 that I am looking very forward to review. 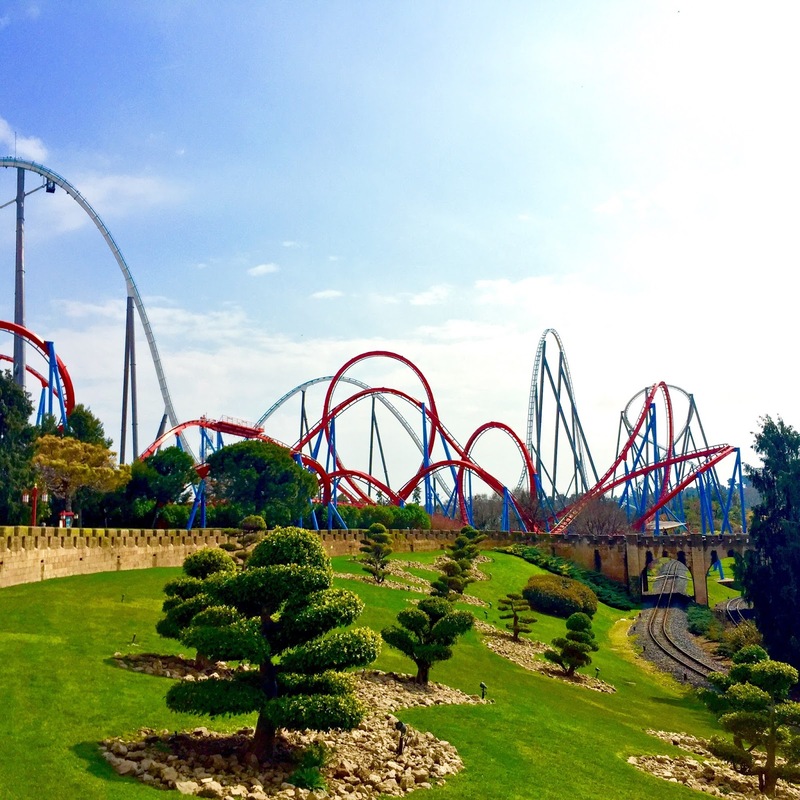 PortAventura's is known for its two world-famous roller coasters, Dragon Khan and Shambhala: Expedición al Himalaya. Because of its location right at the front, I immediately jumped on the line for Furius Baco, the prototype Intamin wing roller coaster that stole the attention of the world back in 2007. As I approached the loading zone, I saw that the staffs were still testing the ride, so I decided to wait for a couple of minutes. Ten, twenty minutes gone by and the problem became clear: the coaster just did not want to launch. Uh-oh. Something is wrong here. I asked the staffs if there is something wrong. They said, "Well, when it rains, the launch censors don't work properly, so we're trying to solve that now." As it was drizzling, none of the rides were open, which left me puzzling: so what would I do then? By the way, that woman on the left is a staff member. Furius Baco testing in the morning drizzle. 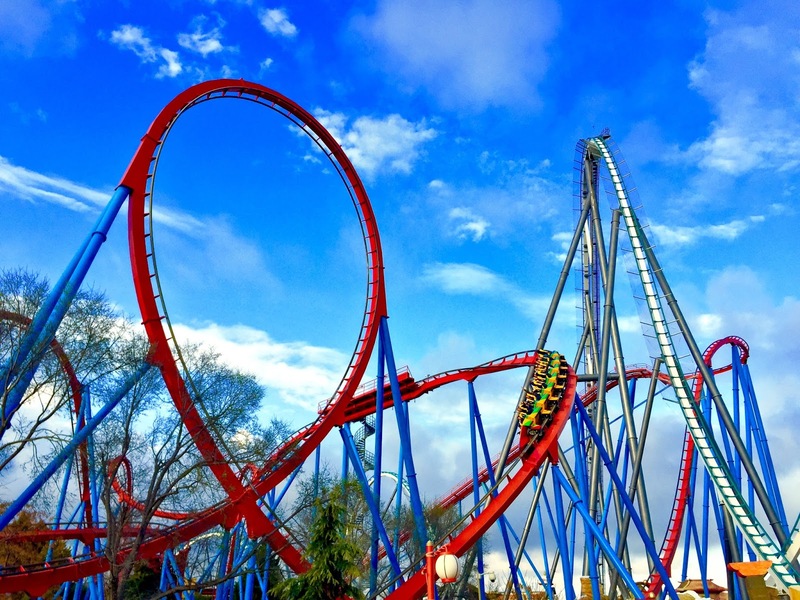 Shambhala opened its doors on May 12, 2012 and became the tallest roller coaster in Europe. With a height and main drop of approximately 250 feet tall and a top speed of 83 mph, it's hard to imagine whether there's a roller coaster that's better than this Bolliger & Mabillard (B&M) masterpiece within the park. Shambhala's huge first drop intertwining with that of Dragon Khan. As indicated by its name, Shambhala is themed to a supposedly expedition to the Himalayan area. Shambhala uses an efficient mode of dispatching. Each time a train stops in the loading/unloading zone, the staffs have exactly 60 seconds to get everyone onboard, secure the safety harnesses, and dispatch the train. This helps to maintain the waiting time to a maximum of only 30 minutes throughout the day, despite the fact that it operated with only ONE TRAIN, which is impressive. Notice the red time-keeper notifying that only 11 seconds are left before the train is dispatched. How does Shambhala compare to other B&M masterpieces around the world? Let's put an anchor in the form of Fury 325 (read my review of it here). If Fury 325 is a 10.0, then Shambhala is pretty close up there, around 9.0-9.5. Shambhala, despite being smaller than Fury 325, packs a whole lotta punch! This is one of those roller coasters that just does not stop thrill you until the very last second of the final brakes. The main drop feels like forever and that second hill is equally as exciting. Unlike other B&M hypercoasters that have disappointed me due to its lack of force, Shambhala keeps me at the edge of my seats the whole time. It doesn't rely on floater time (*coughIntimidatorcough*). It is fast throughout the course. It is forceful. It will push and pull you up and down your seat. This is a hypercoaster that would give you tears of pure joy. Kudos for PortAventura for investing in this top notch roller coaster! Before Shambhala, Dragon Khan dominated the skyline of the park. This coaster is another supposedly B&M masterpiece that took riders upside down 8 times. This B&M multi-looper is one of the biggest of its kind in the world with a length of more than 4,000 feet and a drop of 160 feet. Dragon Khan's convoluted layout as it raced through a total of 8 inversions, including one of the world's largest vertical loops, standing at 118 feet tall. Dragon Khan was a good coaster, but it grew up and has finally succumbed to its age. My wish from this point on is for PortAventura to restore it to its former glory, similar to what Universal did to Incredible Hulk. Sorry B&M, but I'm not a huge fan of this one. 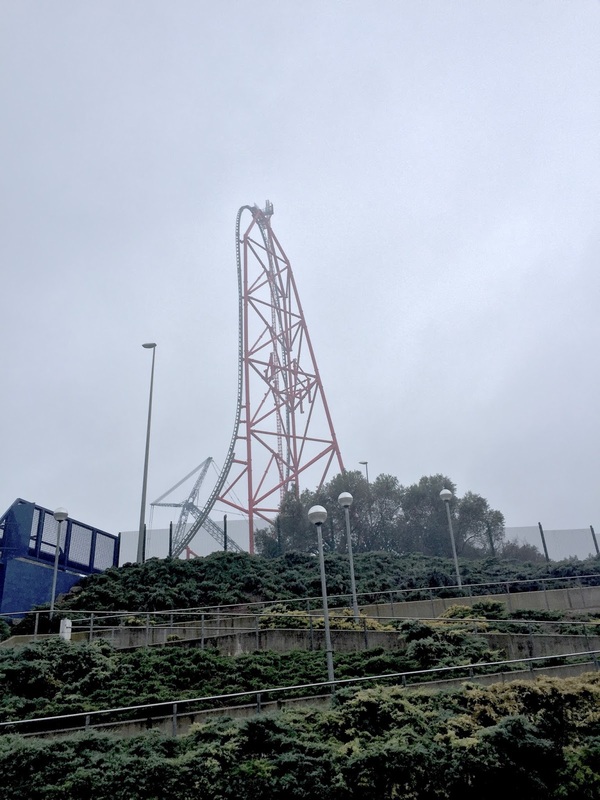 You know Spain really cares about alcohol when its theme park has a roller coaster dedicated to wine production... No, seriously! Even the trains are themed to wine barrels. 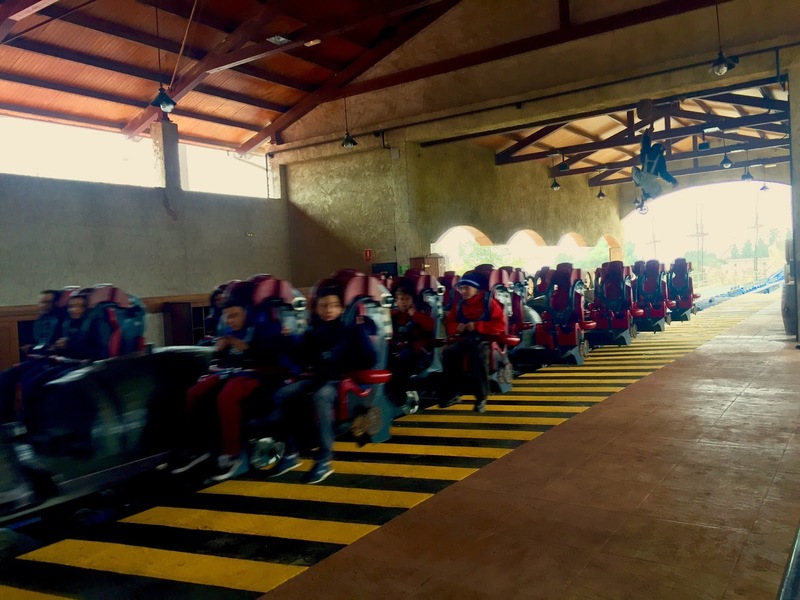 Having ridden the two roller coasters under one hour, it was finally time for me to go back to the front section of the park and ride the other major roller coaster, Furius Baco. Furius Baco making its last turn over the lagoon before coming back into the station. Being the only Intamin roller coaster in the park, Furius Baco captured the attention of the theme park community back in 2007 due to its prototype wing model - meaning: the riders sit right next to the track instead of above or below the track. What's even more interesting is that Furius Baco is the first ever LAUNCHED wing roller coaster, and it's not even a mild launch: 0 to 84 mph in 3.5 seconds, a very intense and forceful launch that will make your eyes water. Furius Baco is a rather unique roller coaster. At the beginning, there was a dark-ride portion showing a professor fixing a wine-making machine. A monkey, seemingly named Baco, came in and created a mess, resulting in the machine exploding. This explosion resulted in your train being... LAUNCHED! Furius Baco wisely uses the terrain to its advantage. Standing at just 46 feet tall, it races through the course at a maintained high speed of 70+ mph, leaving you with almost no space to breathe. Unfortunately, the seating configuration created an unintended consequence for the roller coaster: extremely rough. If you happen to sit on one of the outer seats, then I suggest you wearing head-paddings, as your head will hit the restraints again and again throughout the 55-second duration. When possible, choose one of the inner seats. Furius Baco is a good coaster. 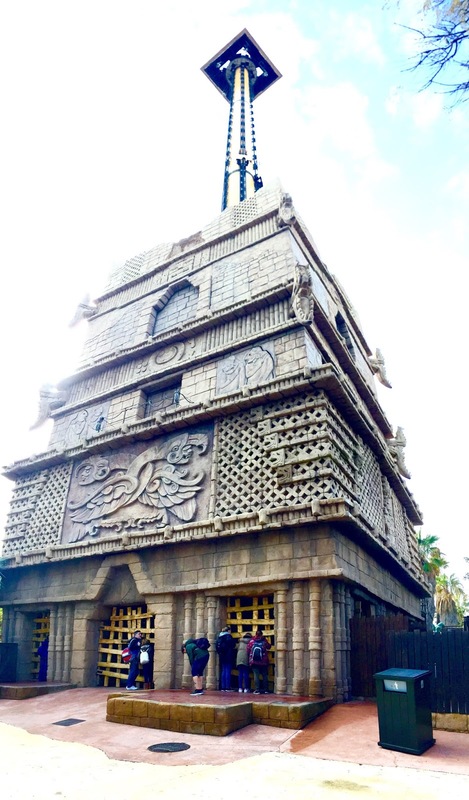 The launch is incredible, the theming is solid, and the background story is unique. Yet, the pain is enough to keep riders from taking a 2nd try. Other than the aforementioned three coasters, there are others that are solid but not too major in the sense of world-renowned. Firstly, there's Stampida, a dueling wooden roller coaster located in the Western area of the park. This is a solid roller coaster with nice racing moments, allowing riders to compete face-to-face until the finish line. I still prefer other dueling roller coasters, though, as Stampida is not efficient enough (broke down twice while I was in line!). Then there's Diablo, a mine train roller coaster that was surprisingly my 2nd favourite roller coaster in the park after Shambhala. This is legit a long mine train roller coaster with three lift hills and surprisingly large drops, especially at the very end. Diablo's entrance, located in the Mexican area of the park. For a mine train roller coaster, Diablo is surprisingly thrilling and exciting. Then there's also Tomahawk, a smaller wooden roller coaster that is also equally exciting. It also helps that the roller coaster is also very smooth, making it very family-friendly. Then of course, one of the world's largest free fall rides, Hurakan Condor. Dare to take a ride? Hurakan Condor lets you choose between two faiths: seated or stand up. Standing at 377 feet tall, Hurakan Condor is easily the tallest ride in the park. What is unique about this drop ride is that riders are allowed to choose between two methods of riding the ride: standing up or sitting down. I tried both and I can confirm that the standing up mode was rather uncomfortable (especially if you're well-endowed, hehehe...). But this is definitely one of the better drop rides out there. 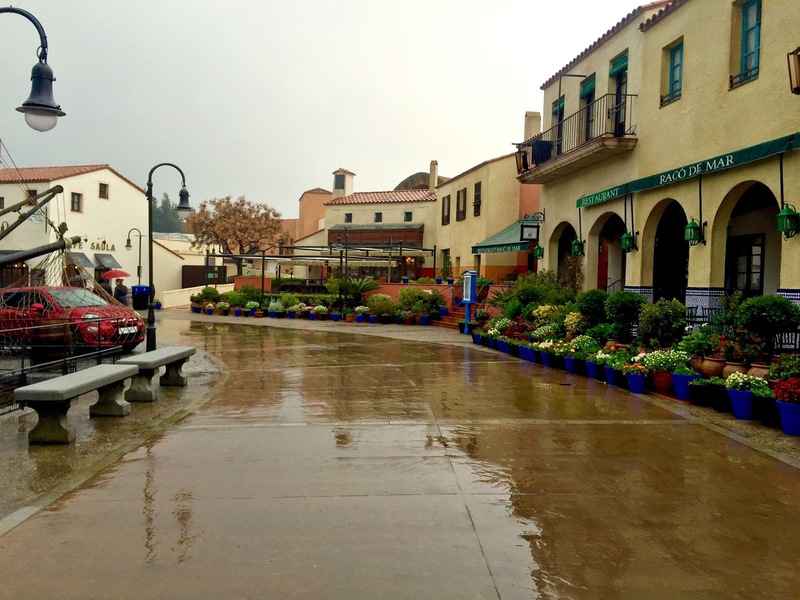 So is PortAventura a good theme park for me? From my perspective, it is definitely a good one. 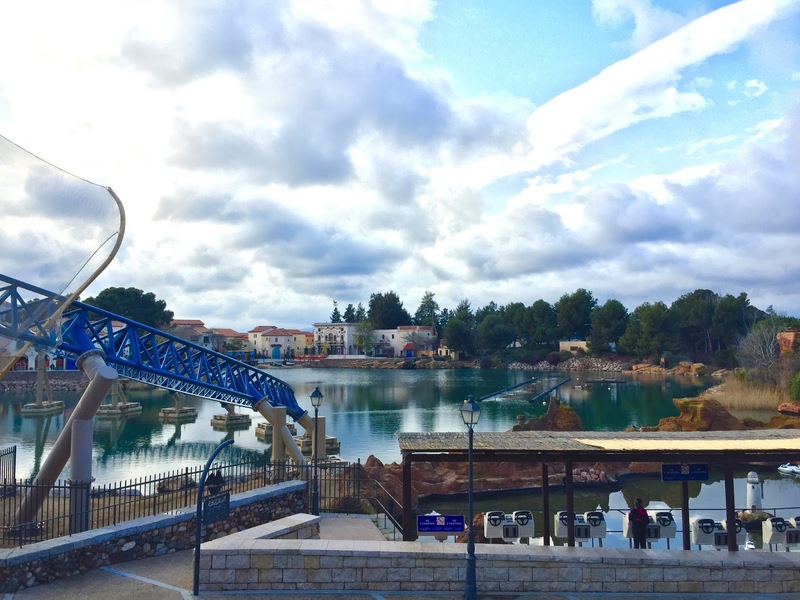 Judging from the lineup of roller coasters, PortAventura offers rather satisfying rides to the visitors. With more than half of the coasters being more than 3,000 feet long, each roller coaster is worth the wait. It also helps that Shambhala itself is a top-notch coaster, a roller coaster that makes it worth visiting the park even when the other coasters are closed. The theming and gardening of the park are also solid, as you can see from the photos below. The shooting boat ride themed to Angkor Wat. The garden next to Dragon Khan is rather outstanding. 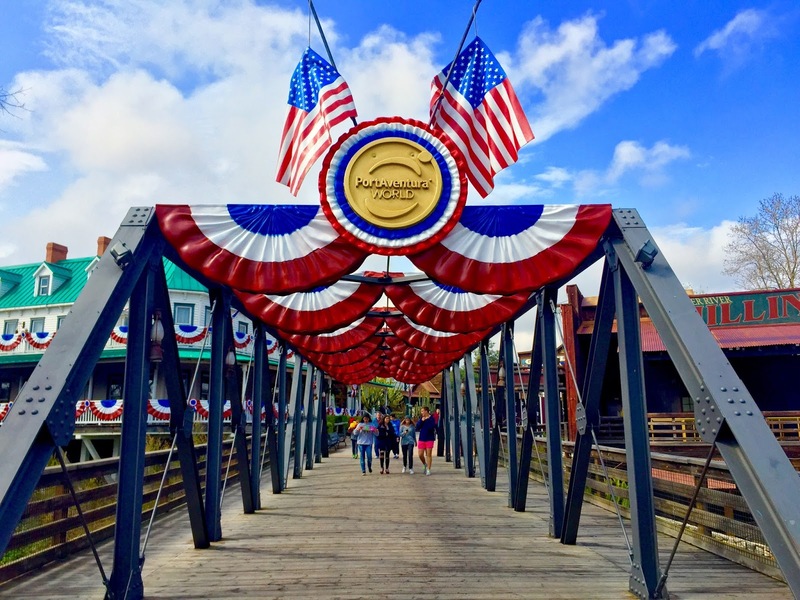 Showing some American Pride in the Western section of the theme park. 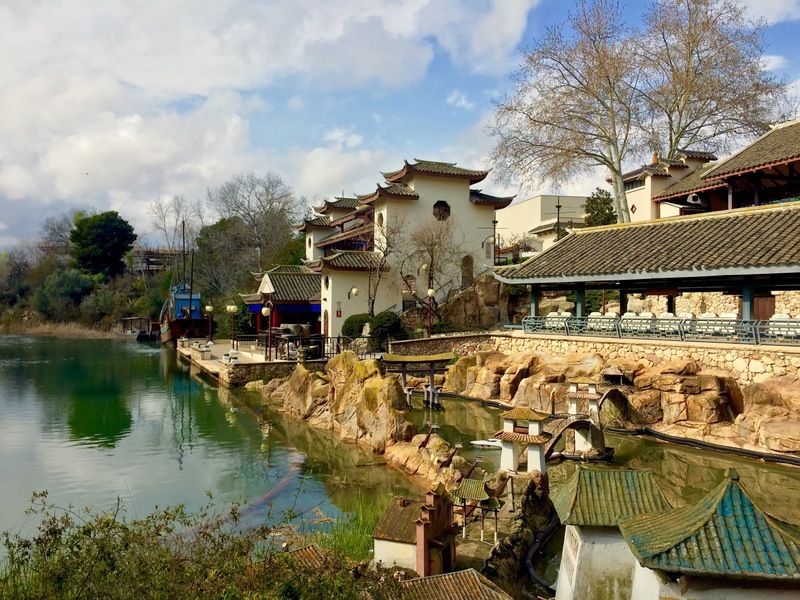 The Chinese/Japanese Lagoon used for boat remote control area. 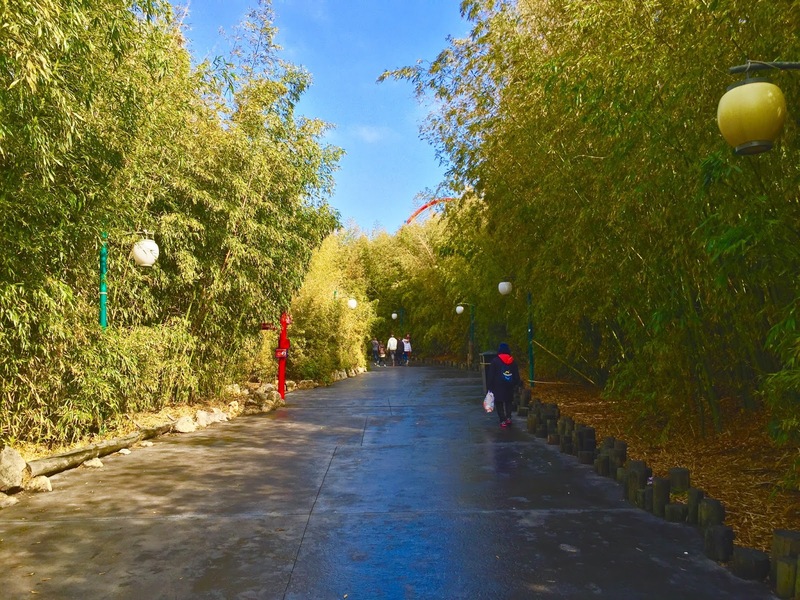 The beautiful bamboo pathway leading to Dragon Khan and Shambhala. 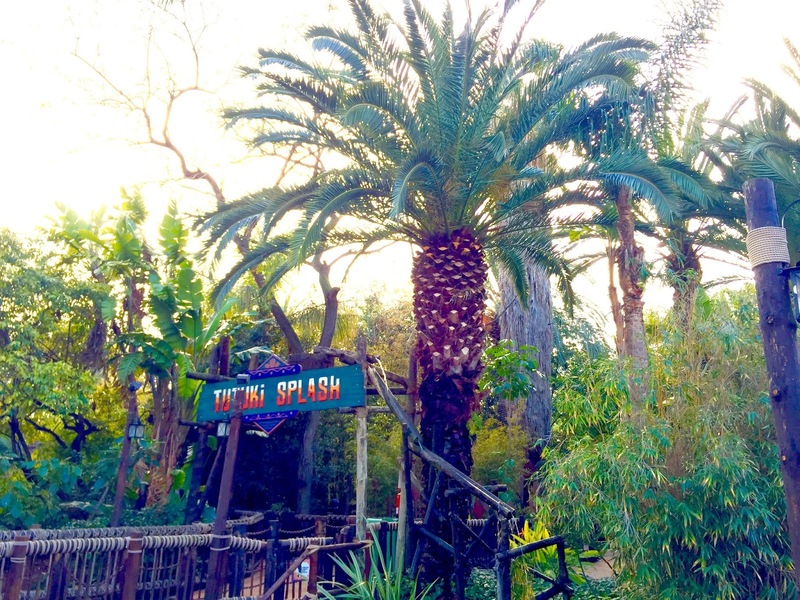 Capturing some Polynesian vibe by Tutuki Splash. 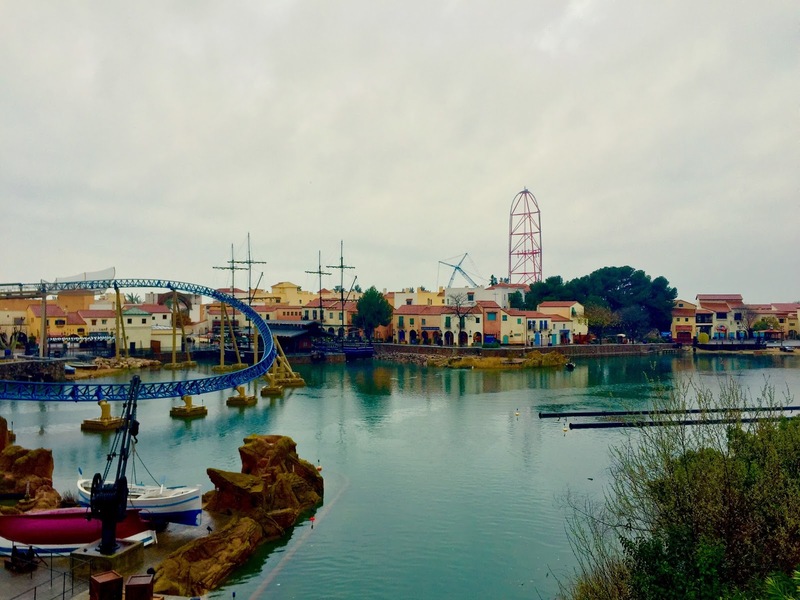 Where do I see PortAventura goes in the future? First of all, I think this park will maintain its popularity amongst locals for sure. With its strategic location and strong line-up of roller coasters, PortAventura is bound for generation-to-generation popularity. I can say that it will get better from this point on with the addition of Ferrari Land, set to open in 2017! It will even include Europe's tallest and fastest roller coaster! A yet unnamed roller coaster set to open with Ferrari Land in 2017 and break Europe's record for tallest (367.4 feet) and fastest (111.9 mph) roller coaster. I think that's all from me today. Until next time! An evening at PortAventura moments before it closed.